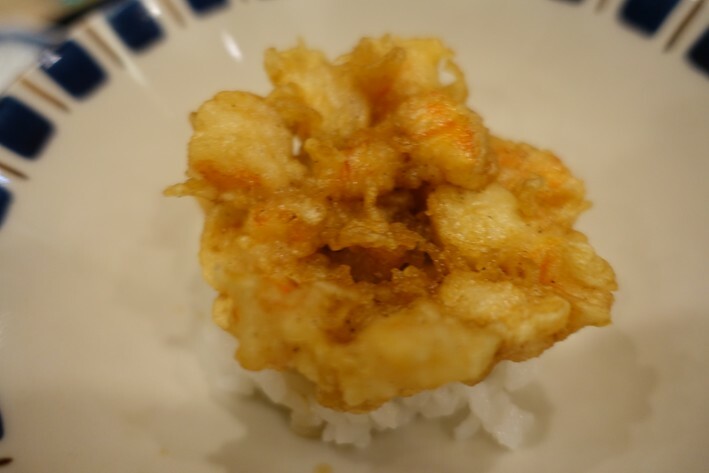 Tempura Hasgawa is located in Sumida in northeastern Tokyo. 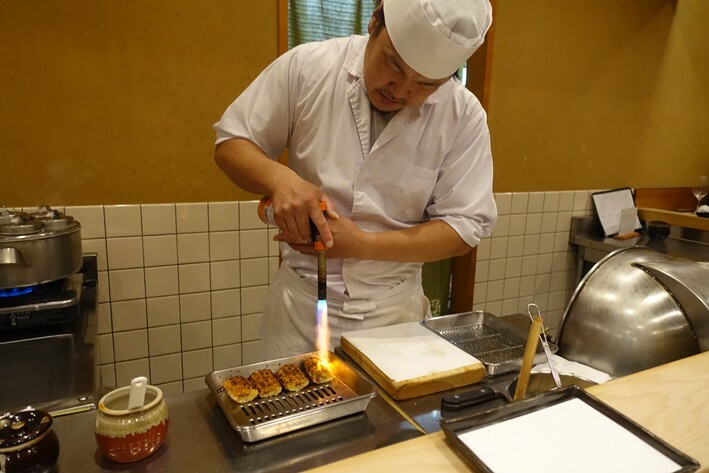 This edomae style tempura restaurant is run by head chef Tadahiko Hasegawa. 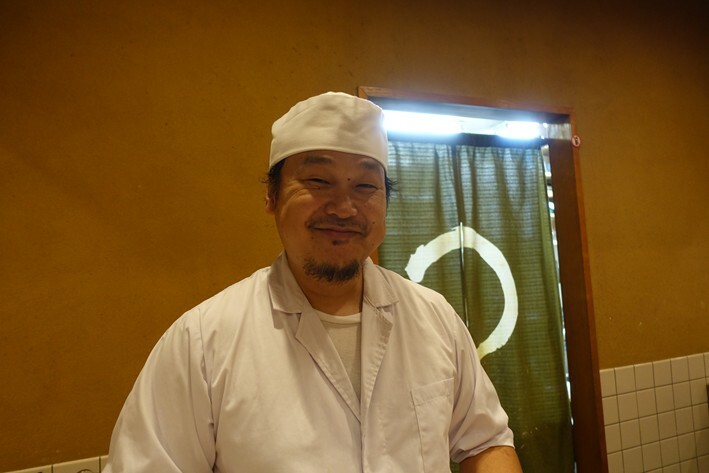 He worked at a restaurant called Yoshimatsu and then took over the restaurant "Yokoyama", which was owned by Mr Yokoyama who trained in Kyoboshi. Yokoyama closed in May 2012 and reopened a month later as Hasegawa. 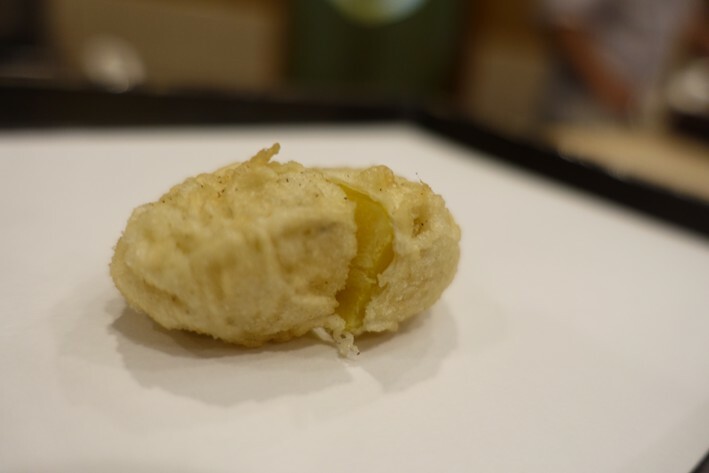 The chef does not use any egg so as to keep his batter light, and is noted for using unconventional ingredients like corn in his tempura. 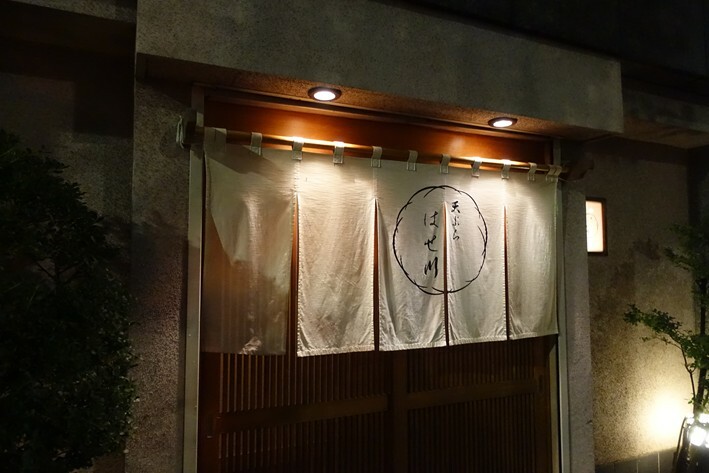 The restaurant had a star in the 2018 Michelin guide. Eleven seats are arrayed around the wooden counter where the chef works, cooking in front of the diners. 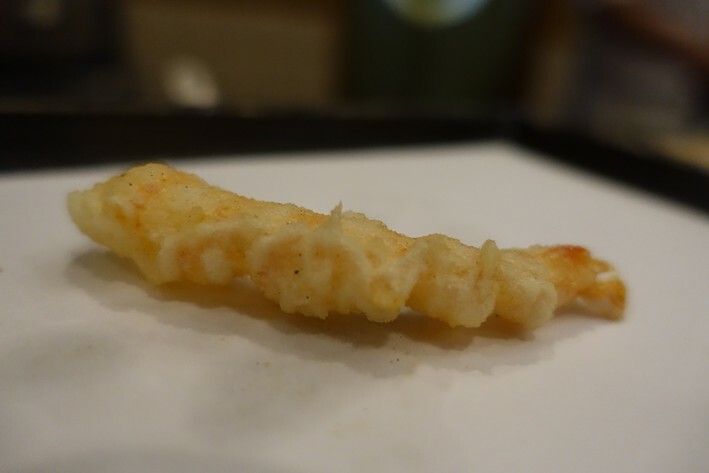 The chef uses a proprietary blend of oils for the frying, and I noticed that there was remarkably little excess oil on the paper on which the tempura was served, and the batter tasted unusually clean and pure. The meal began with a little appetiser, mixed vegetables in a sesame sauce. The mushroom, aubergine, sweet potato, lily bulb and white bean were all nicely cooked and had good flavour, and sauce was quite rich and brought out the taste of the vegetables well (15/20). This was then followed by the lengthy sequence of tempura, the ingredients being displayed to us on a little tray when we arrived. 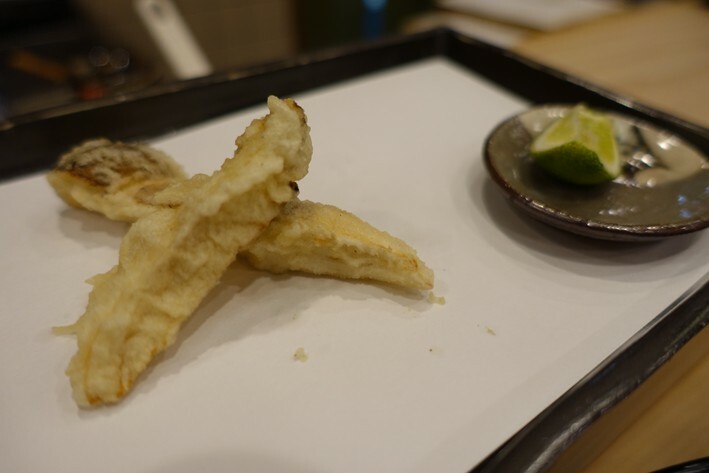 We started with a prawn sandwich, the two pieces of fried bread containing a filling of chopped up prawn. This was excellent, an idea I encountered before at Nanochome Kyoboshi, the overall effect comforting and delicious (17/20). A very enjoyable deep fried prawn followed, and this was repeated at a couple of later stages of the meal as a little treat (16/20). 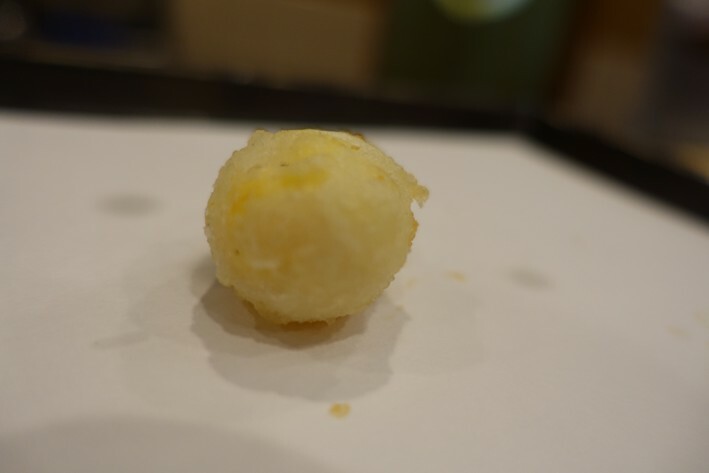 A deep fried egg followed, somehow maintaining its soft yolk through the frying process, the batter very light indeed (16/20). 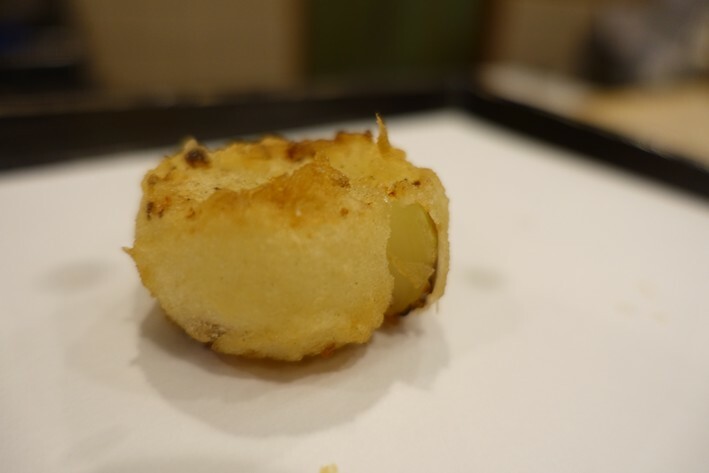 A fried onion was also good, though this was not quite as perfectly cooked through as the same dish at Nanochome Kyoboshi, but was nonetheless good, the onion having a touch of sweetness as well as bite (15/20). Ayu or sweetfish followed, displayed upright as if swimming, its characteristic bitter flavour note note not as pronounced as it can sometimes be (16/20), and the lotus root that came next had excellent texture (16/20). 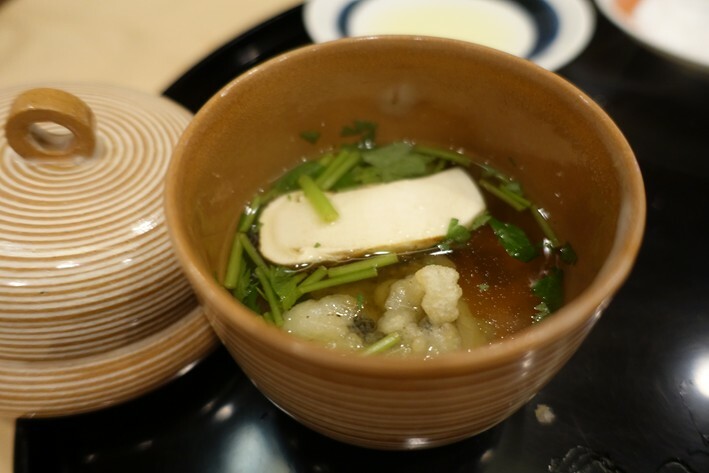 At this stage there was an interlude in the tempura sequence in the form of a little bowl of soup with pike conger and matsutake mushrooms. I am never convinced by serving fish in a hot soup as it inevitably affects its texture, but the mushrooms were lovely and the broth good, garnished with chives (14/20). 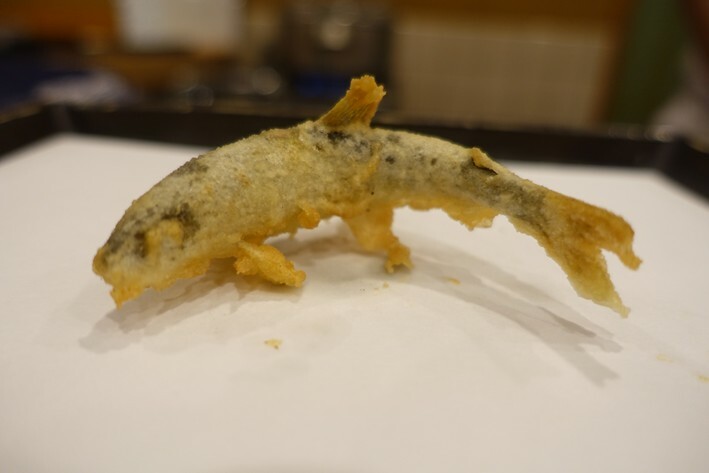 The tempura then restarted with chestnuts, which were excellent and had a pleasing hint of sweetness (16/20) followed by barracuda with a herb dip (15/20). 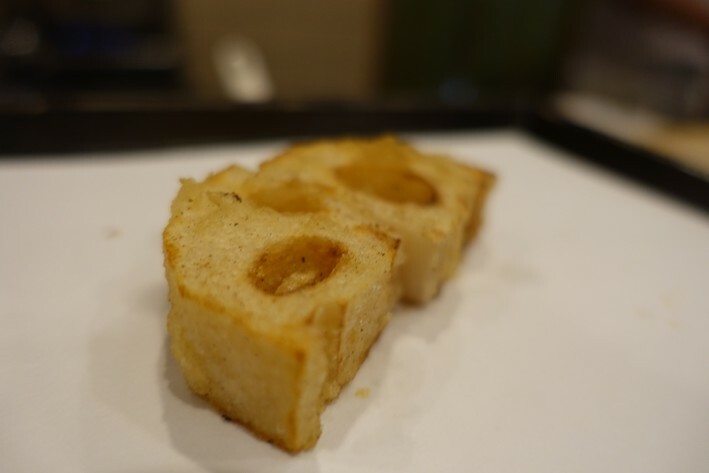 Fried matsutake mushrooms were next, their texture just a touch chewy (14/20). 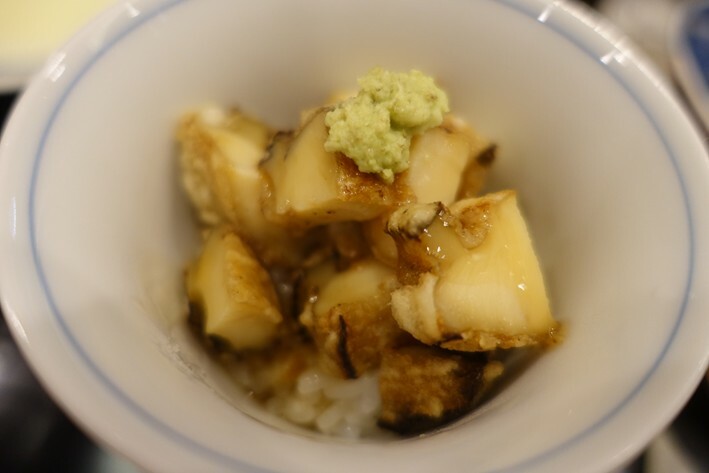 A bowl with cooked abalone and rice followed, the abalone impressively tender, something not easy to achieve, and enlivening with freshly grated wasabi root (16/20). Corn followed, this being cooked with a blowtorch rather than fried, and this was genuinely impressive, the sweetness and touch of smokiness from the fierce heat combining beautifully (17/20). 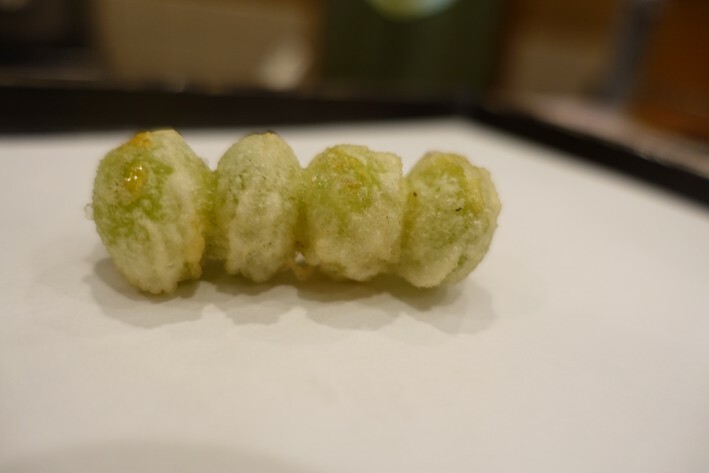 Fried ginko nut followed (15/20) and at this stage some pickles appeared. 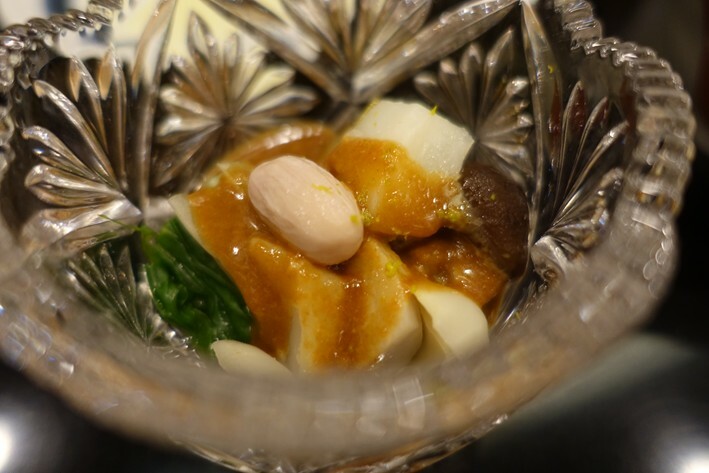 Traditionally pickles are brought at the end of a meal, usually to go with rice if it is a kaiseki meal, and here they preceded the final deep fried item, the kakkiage served on rice. These pickles were no more throw away item though. The pickled red cabbage, mustard greens and daikon were absolutely superb, the flavour of the vegetables distinct and not overpowered by the vinegar used in the process. These were some of the best pickles I can recall eating in Japan, and were a real surprise as I would not have expected this level of pickle quality in a tempura restaurant. These showed great skill (18/20). The final course of kakiage, which is a clump of prawns and chopped vegetables that have been encased in batter and deep fried, was served on a bowl of rice and was good, though not as perfectly crisp as I have sometimes encountered (still just about 15/20). 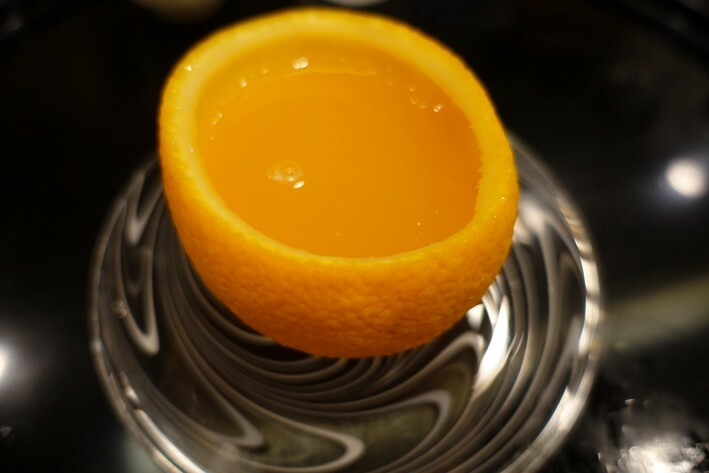 The meal concluded with an orange jelly served in a scooped out orange, and was refreshing and enjoyable, the fruit having lovely flavour as is so often the case in Japan (15/20). 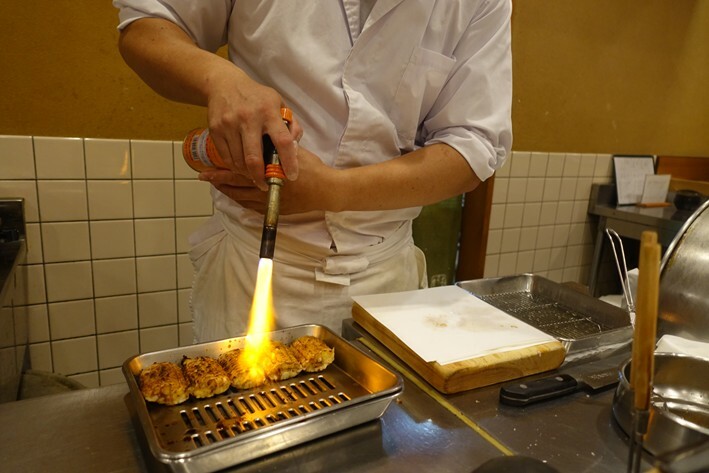 The chef was friendly and the atmosphere around the counter relaxed, with the diners chatting and buying each other sake. There were two other female staff besides the chef this evening, and to illustrate Japanese hospitality let me relate our arrival here. 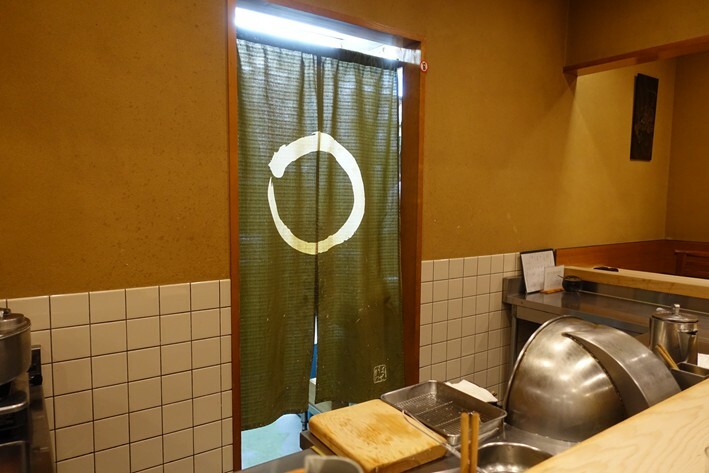 As so often in Japan the entrance to the restaurant is discreet to the point of invisibility. The frontage at the address, which matched the photo of the restaurant as well as the sat-nav directions, looked boarded up and closed, which was obviously worrying after our long taxi journey in the heavy Tokyo traffic and monsoon-like rain. The taxi driver phoned the restaurant and explained the problem, and rather than just giving directions, one of the staff came out of the entrance, which turned out to be tucked away around the corner from what looked like the front of the place, in order to guide us in. The rain was torrential at this stage, and she had brought out two much-needed umbrellas for us. Can you imagine the same thing happening in, say, London or Paris? 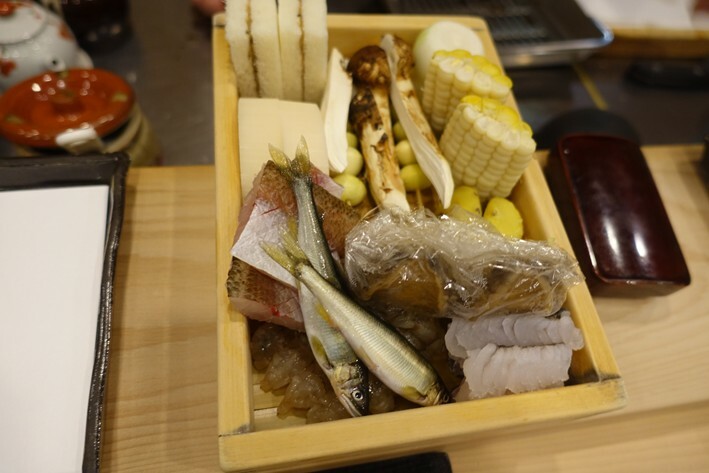 The bill came to ¥37,368 for two, which works out at £126 per person, with beer and a little sake to drink. This was a very enjoyable evening, the tempura being of a high standard and the staff friendly and helpful. A lovely restaurant.